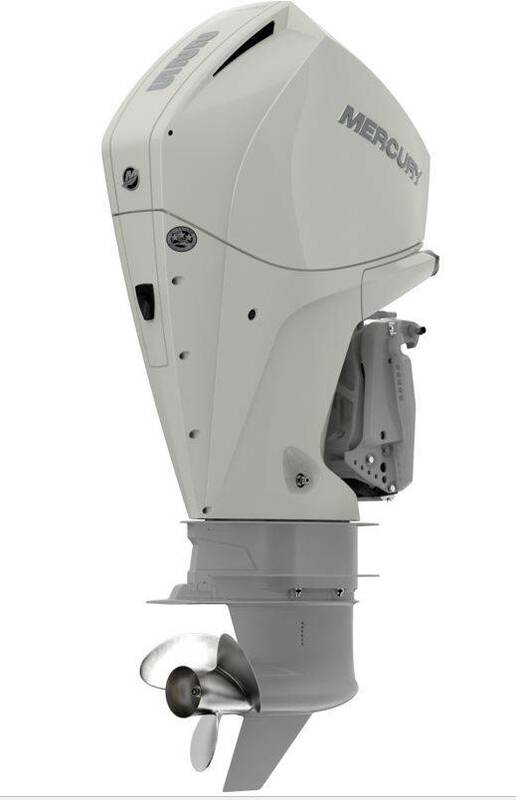 Mercury Marine has introduced its new V-6 FourStroke outboard family and the expansion of its SeaPro commercial line at the 2018 Miami International Boat Show. The new engine family, which builds on Mercury’s 75-150hp FourStroke outboards, features 175hp, 200hp and 225hp FourStroke outboards and a V-6 200hp SeaPro commercial outboard. Adaptive Speed Control that maintains RPM regardless of load or condition changes, improving the driving experience. Mercury’s 3.4L, 200hp FourStroke is the company’s largest displacement in 200hp class. At 475 pounds, the engine is also the lightest in its class, and is 35 pounds lighter than current product in this range. With its performance-inspired dual overhead cam (quad cam) and fourvalve design, the engine will reach higher speeds, faster. In addition, this outboard is the only one of its kind that maintains rpm regardless of load or condition changes and provides a “sportier” feel to the drivers. The V-6 design is naturally balanced. • Multi-chamber air-intake quiets induction noise. Fuel injector covers reduce high-frequency noise. • Specific cowl features prevent noise from reaching the operator.